Looking for 9mm PCC build advice? We’re here to assist. If you’re reading this, you probably know the 9mm PCC is taking off in a big way. They’re fast, fun and inexpensive. However, they can also be a bit finicky depending on how you choose to build. I recently did a 9mm build that has performed flawlessly with over 2,500 rounds and counting, but I know some have not been as lucky with their builds. 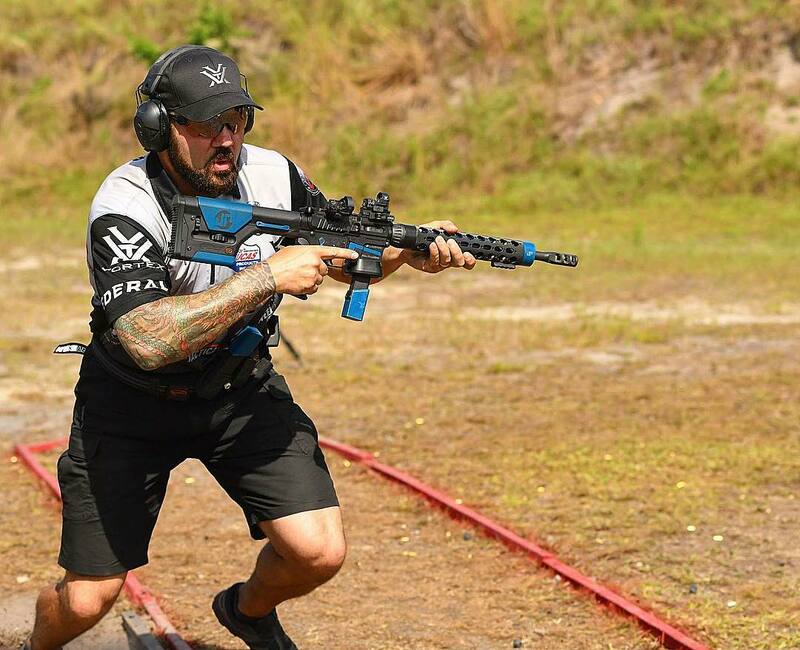 To discuss the 9mm PCC, we reached out to champion professional shooter, Josh Froelich. Q: Josh, thanks for sitting down with us to discuss 9mm PCC rifles. Can we start with a bit about yourself? A: I’m a competition shooter which means I travel the world shooting guns and competing with the best guys on the planet. I spend about 20 to 30 hours a week behind the trigger on AR-15s, shotguns, pistols, pistol caliber carbines, AKs….you name it. If it has a trigger, I like to pull it. 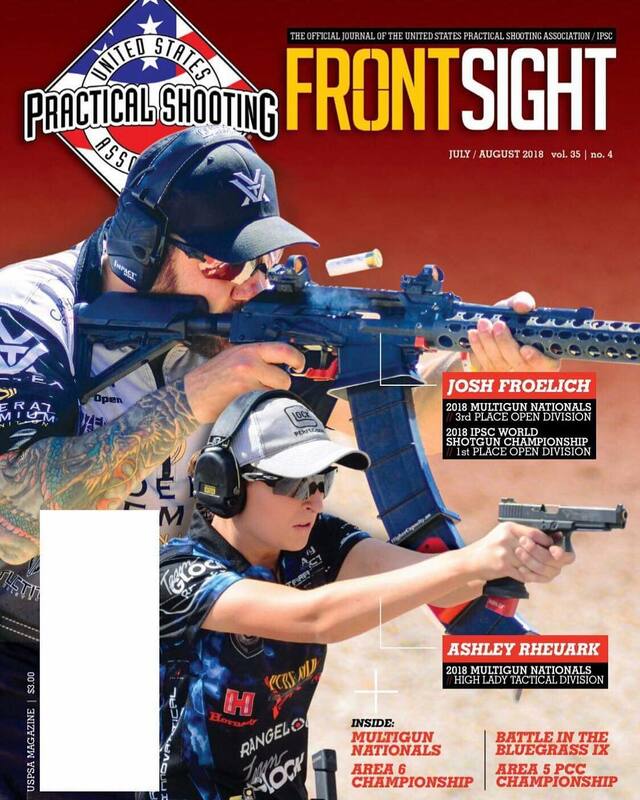 Josh was featured on the USPSA Magazine’s cover earlier this year. Q: A lot of folks are familiar with 3-gun and using the 5.56 AR-15 for that. Lately though, the PPC is becoming hugely popular. Can you describe the difference between what you do with a 5.56 vs. 9mm in competition? A: The biggest difference for competition between the actual scenarios is that we get to shoot steel up close. We can shoot steel at 7 yards, which creates dynamic environments for going really fast with the rifle in short-range bays. And you can really put up stages pretty much anywhere. Q: You’re world-class with both the 5.56 and the 9mm rifles. How would you describe the difference? 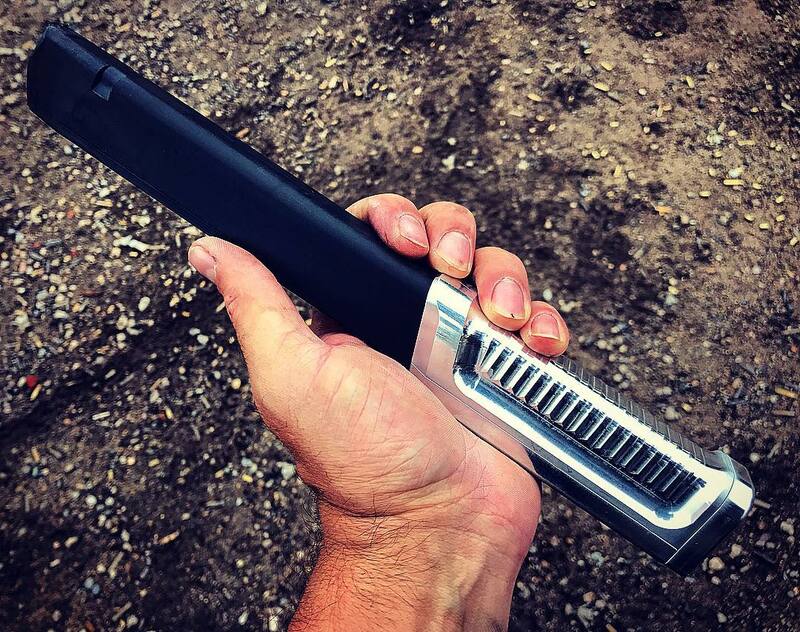 A: The biggest difference between the guns and the feel & performance is that with the .223’s effective brakes and gas control…you can actually dial the gas way down and run a low mass operating system. This makes it so there is just zero movement on the gun if you have it tuned right and with the right ammo. On a 9mm PCC like I run, it’s a blowback gun. So, there is a little bit more reciprocating mass which creates a bit more of a push feel during recoil. And, so it’s a different recoil impulse. That said, it’s certainly something very controllable because the 9mm cartridge isn’t very powerful. It’s super manageable so you can go very fast. A: Why do you think PCC is taking off like it has? 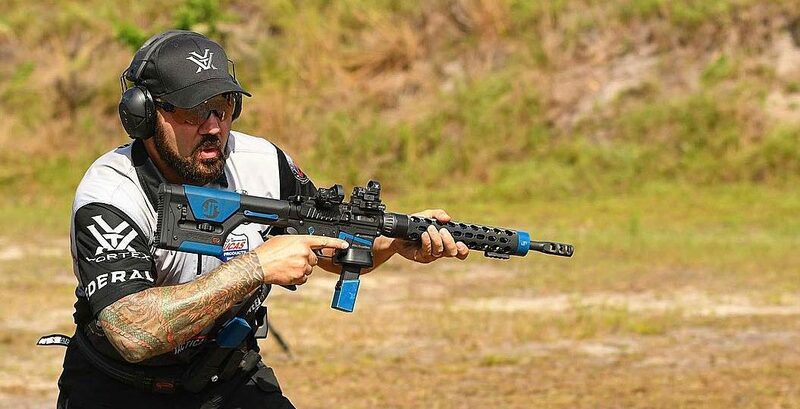 A: The cool part about PCC that made it super popular and I think is going to make it more popular with both day-to-day and competition shooters is the guns are soft and easy to shoot. They don’t hurt. You shoot some big caliber, big bore guns and they are somewhat hard on the new shooter. They’re intimidating. They’re loud as well. .223 is loud. There’s a big concussion when you have a big brake on the gun. That can scare off some newer shooters and it can be less pleasant to shoot if you are not used to being around guns all day long. The 9mm PCC rifle, on the other hand, is super quiet. You can run subsonic ammo in it. Even if its supersonic ammo, it’s still pretty quiet and so you get guns that are soft and easy to shoot. They’re not loud, and if you’ve got the red dot or your sights zeroed in, then it’s going to hit if you’re pointing in the right direction. So, it’s easier for newer shooters to shoot well. And so you see the popularity in sports like USPSA, 3-Gun, IDPA. Beyond that…it’s just a whole heck of a lot of fun when you want to drag race with them. Because you can fill a mag with a 50 round box of ammo if you’ve got Taylor Freelance extensions…and then just go play. So, in summary, with a 9mm PPC you can go fast, shoot a long time with them because they are high capacity guns, and they are super pleasant to shoot. 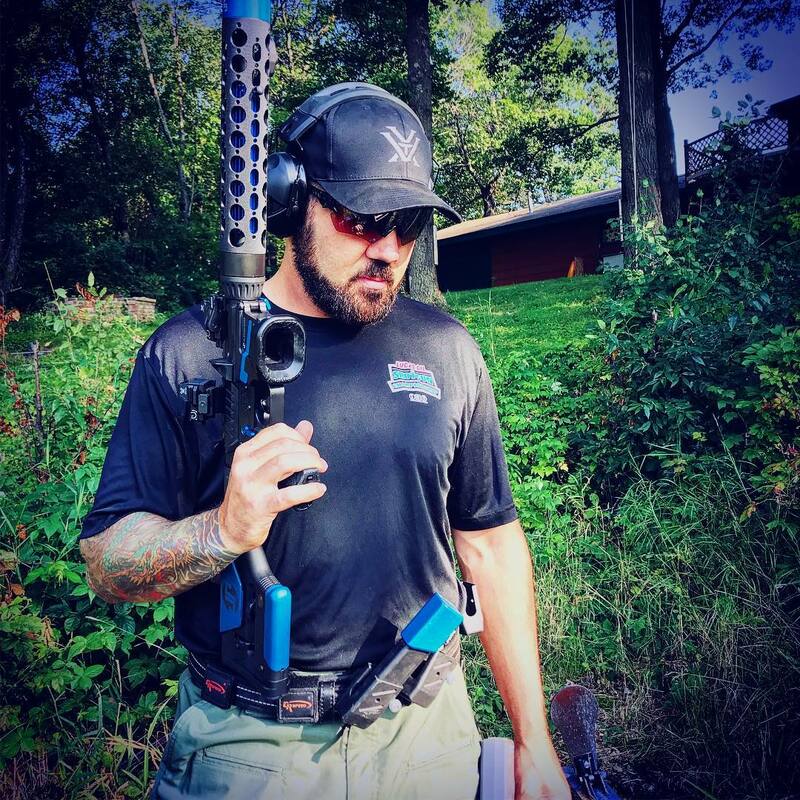 Training with your PCC – Good reasons to start your 9mm build, IMO. Q: On my 9mm PCC build, it eats 115, 124, 147-grain without any hiccups, although each had a distinctive feel. Which type of ammunition do you prefer from a competition perspective? A: I have tried a lot of things, and a lot of guys have tried a lot of things and there’s a few thoughts on it. Shooting a heavy bullet that is going slow…that shoots soft – some people really like that. That said, soft shooting ammunition with a blowback gun mean the red-dot takes longer to settle. On the flip side, some of us run 115-grain ammo…again factory ammo, but a lighter bullet. The 115-grain has more powder and that moves the operating system faster. This means the dot settles faster. So, it’s a harder recoil impulse but its done faster. So, you can see the two schools of thought. Some people lean on the light 115-grain that’s done with the recoil faster, and some lean on the 147s that are softer and may take a little longer for the dot to settle. I’m in the middle. I like 124-grain that settles pretty fast and shoots pretty soft, and I think that’s where the majority of shooters are settling. 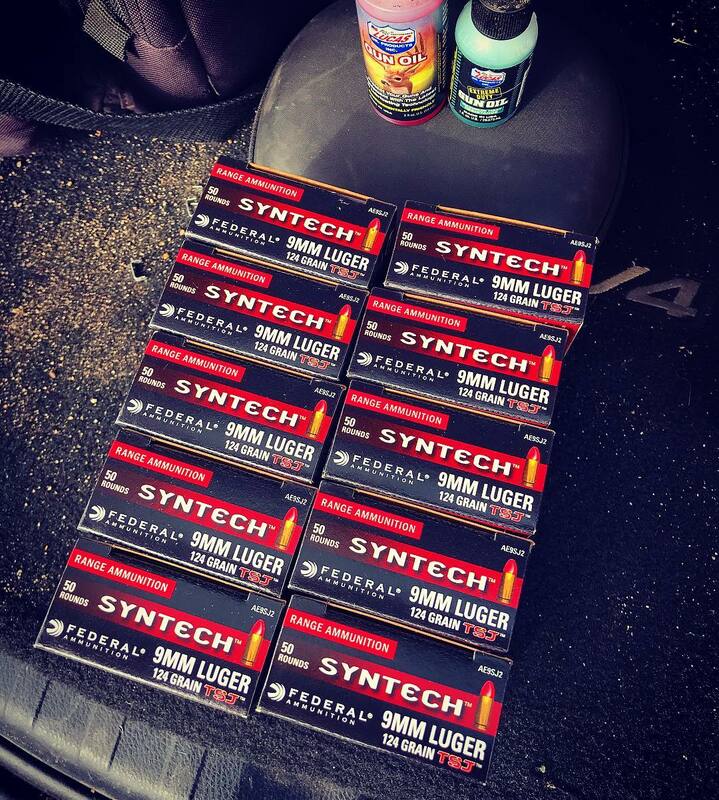 As far as which specific load I use…I shoot the Federal Syntech 124-grain loads or the 124-grain suppressor loads from Federal which are super soft. Both of those are both really, really nice in PCC. Q: Can you talk a bit about the reliability of your carbine? I’ve had builder friends of mine have 9mm PCC rifle builds that took quite a bit of messing with before they functioned reliably. My perspective is quality internal parts really go a long way with these builds. A: Where I see trouble is with guys running different gear from different companies. With an AR-15, there is mil-spec and most parts play pretty well together. You get into the AR9s and you quickly learn not all the specs are the same with different companies. So, if you are running something that was the budget buy for a part, specifically in the operating system…the carrier, the trigger group, the barrel, you can see issues. The barrel and receiver set being different especially because there’s different feed angles, stuff like that…these are areas where you can get into a little bit of trouble. The 9mm PCC builds we see run the best on the range are ones where the manufacturer that builds the lower receiver, is also the barrel and carrier manufacturer. Then you can run your trigger and buffer system of choice. The other part that can come into play is certainly the magazines. In competition, we’re throwing these plus-20, plus-10 magazine extensions on the bottom of the mags. What a lot of them on the market do is just connect to the bottom feed lips. Glock mags have metal inserts that go most of the way down the mag, but they stop about a quarter-inch before the bottom of the mag. And so, an inherent issue with the way most mag extensions are built is that they just connect to the little plastic feed lips at the bottom of the mag. They actually press inward slightly so that they have decent retention and they grab onto the mag. Well, that changes the magazine angle on the inside. It creates some follower feed issues on these super high cap mags. Robin at Taylor Freelance created an extension just recently that has been performing really nice to avoid that challenge, where the mag extension actually goes up higher on the mag versus connecting on the lips, so it goes up all the way to where the metal insert happens on the Glock mags, giving it much better reliability. So, those are some of the challenges that we see on the range when it comes to PCCs for reliability, but there are ways to avoid them. Q: One area I have personally had issues with the 9mm PCC are the bolts. Extraction issues…etc. A: If you want good reliability, the bolt is a critical piece of the components. The bolt is the primary operating system in the gun along with the buffer system. The bolt is the part that is getting the job done, so that’s not a spot to go cheap. I don’t have a ton of experience with anything other than the JP guns because I have a few of those I have shot for years, but I get to see the other side of things on the range. Usually when there is a failure, it’s an extraction issue or something related to the bolt. And so, when you see a good bolt in the gun, you can pretty much be sure that it’s going to run ok. The lesson there is just don’t skimp on that item. 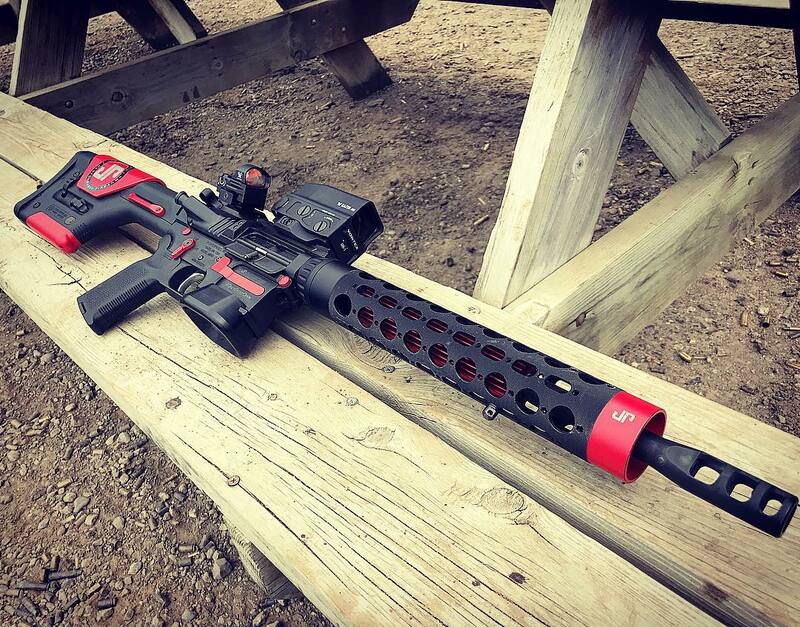 If you’re going to skimp on something, skimp on something that is not operating system involved…like a hand guard, a stock, a grip, something like that. Q: Any other advice when it comes to troubleshooting a 9mm PCC that isn’t working quite right? A: Guys will get all of the best components, and they’ll put a nice build together. Now, a lot of us, myself included, I like a nice-looking gun, so I’ll get Cerakote work done. Sometimes during Cerakote application, folks will spray the inside of the receivers too thick and change tolerances. I have seen brand new guns that definitely needed to break in because they had been coated too heavily internally. But for the most part, if you’ve got a problem with a gun, you’re going to know right away because there’s not a ton of moving parts. You don’t have to adjust gas. You don’t have to adjust things like that internally in the gun, outside of the buffer system. So, if it runs out of the box…sweet, you probably have a winner. 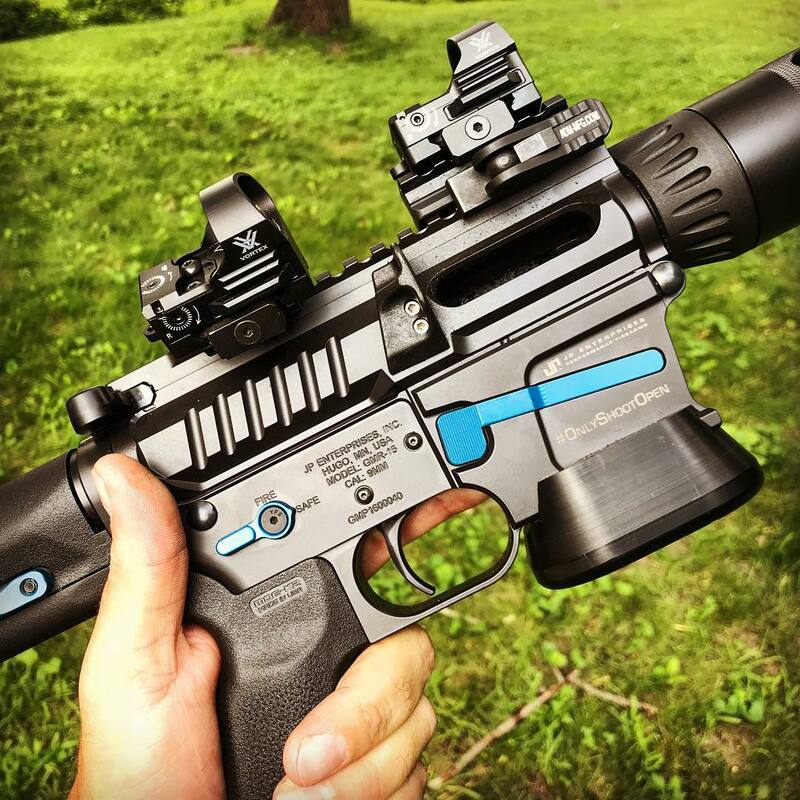 If it is having some trouble early on, one of the things to look for if you’ve got good parts is did you have Cerakote or DuraCoat done…did they spray the inside of the receiver and change the tolerances? Q: Can you talk a bit about the 9mm PCC rifle you use for PCC competition? A: From a competitive perspective on a 9mm PCC rifle, I like a gun that has a little weight to it. So, again two schools of thought on that. Some people want to run the lightest gun possible, and they believe they can swing really well with that gun, transition really well between targets, and move around the stages and run around quickly with it. Well, its 9mm…so it does have some push-type recoil. Because of this, I like to run a heavy gun. I like to run a gun around 8.5 pounds because it gobbles up that recoil, and so the gun does not move as much. For me, I run a 14.5” gun so I don’t have to get a tax stamp for it. Its pinned with a comp on the end on it. There, I like to run the lightest comp possible. I run a JP 3-port titanium comp on the gun so that the end of the barrel is super light so that it still swings nice. I run a heavy stock…a Magpul PRS stock on my gun. Originally I did that because I wanted to set my pistol caliber carbine up the same as I had my 3-gun rifle AR-15 set up. That way, I was using them both for cross-training for the other gun. But what I found is it also helps from a weight perspective, and it eats up a lot of that recoil because it’s a little bit heavier. Q: I know your firearm has a side charger on it. Any benefit to that or is it just a preference thing? Can you talk about that and other features you’d recommend? A: One of the things that we do in competition is a lot of reloads. 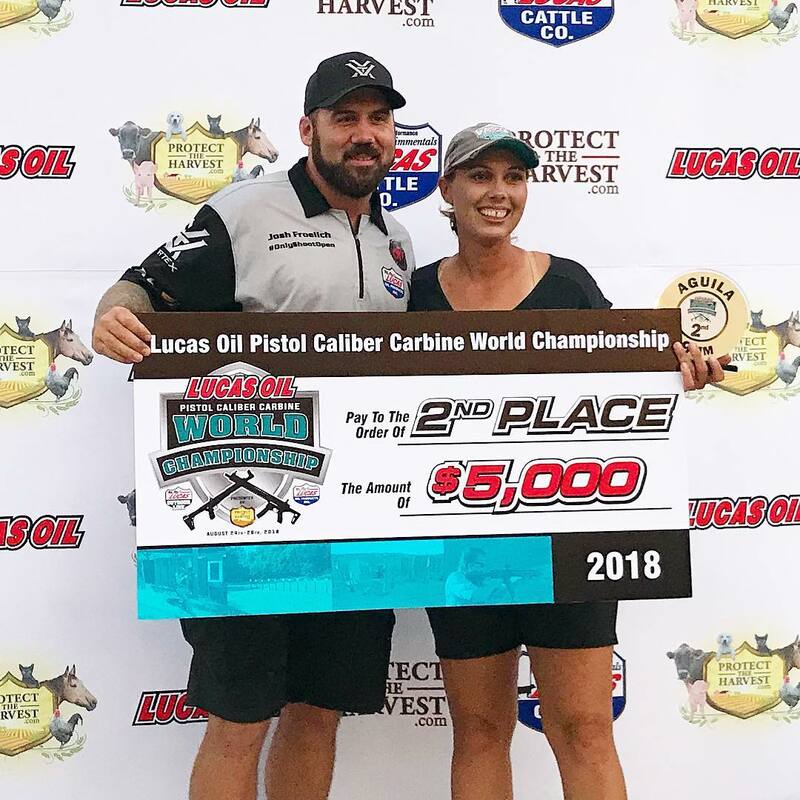 We do some unloaded starts and the fastest way to get these guns loaded is get up on the shoulder as fast as you can on the buzzer on the start. So, I get the gun up on the shoulder. I slam a magazine in it, and then I rack the bolt while the gun is on the shoulder. With a traditional charging handle, if you miss or if you slip off the charging handle you’re going to punch yourself in the face. I see it happen all of the time on the range. Guys will just slip off of it and smack themselves right in the mouth, so having the side charger on the upper receiver is super sweet because it keeps that charging way out in front of you versus right up in your face. Worst case scenario, if I slip and miss on the side charger, I still have the standard charging unit that is going to catch my hand. So, I have redundant charging on the gun. Its super huge in completion…having that side charging upper. Outside of that, I have a mag well on the gun, because we’re doing those reloads. Yeah, you can reload a gun just fine in the backyard or in a situation where speed is not critical and you’re not measured on 10ths of seconds, but having a mag well on the gun helps those reloads just go in a little bit faster, and so for competition I run one of those too. Then for optics on my 9mm PCC, I run big dots. I run a 6-MOA dot primary on the top receiver. That’s what I shoot about 90 percent of the stages with. I also run an off-set dot. I started doing this a few years ago and everyone thought I was crazy. But now if you look on competition guns, you’ll see about 60 percent of them are running 2 red dots. The second dot is an offset dot zeroed at the same distance as the primary dot, same size dot, all of the above. Josh explains why he runs two red-dots on his 9mm PCC. The reason I run the second dot is when I am shooting around a weak side lean…leaning hard to my weak side, it allows me to roll the gun versus switch shoulders. In a game of speed, if I can roll the gun over and keep a comfortable head position and shoot behind a tight wall or shoot around a tight lean to make a shot, versus switching to my weak shoulder which takes time, in a race I win. And so I’m running multiple red-dots on my PCCs for that reason. Q: So, pretend you’re talking to a lifelong 5.56 shooter who is on the fence. Why build a 9mm PCC rifle? For those that love the .223 AR-15, the 9mm PCC is just a great additional option. I like it from a training tool perspective. This is because 9mm costs a whole heck of a lot less than .223. It allows me to get reps in. Then, I can move with the gun…I can work on manipulations and do all the things I would typically do, outside of shooting of shooting 100 yards, with the PCC. 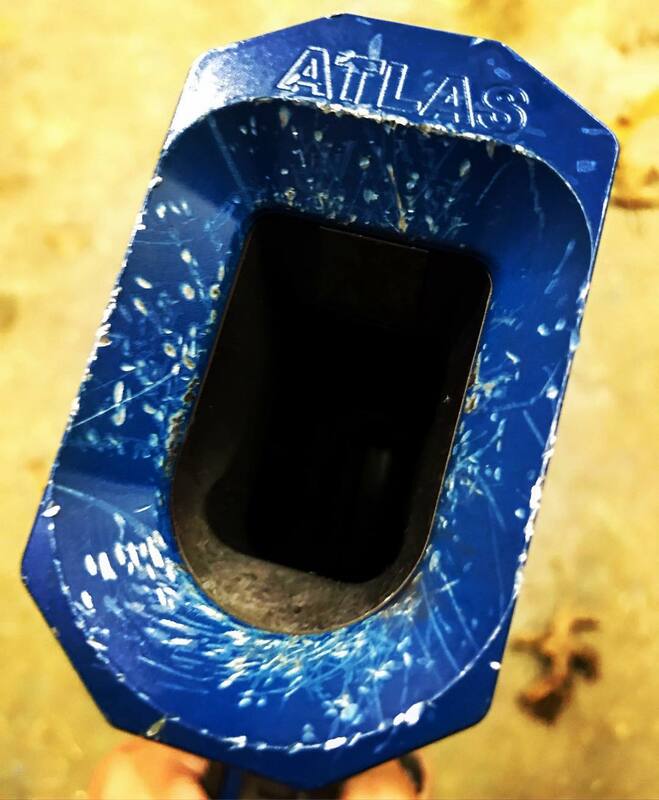 Not only that, being able to shoot close-range steel…up close and personal reactive steel targets makes it a ton of fun. You just can’t do that with .223 without frangible ammo. And then you start talking that cost again, right? A buck a pull on good frangible ammo versus 20 cents a pull…you can shoot five shots of 9mm for the price you can shoot one on a .223. 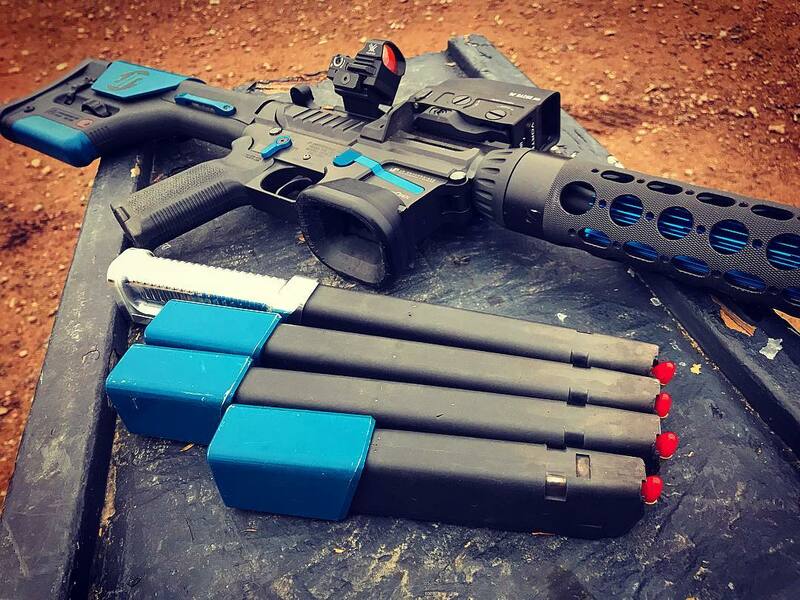 So, having a ton of fun, going fast, high mag capacity, all of the training benefits that you get working with your AR-15, except with it being 9mm, Finally, it opens up additional opportunities to get kids into shooting, and get folks that are not super familiar into firearms into shooting. This is because you don’t have the big concussion when you fire the gun. It’s just pleasant to shoot…it’s a great tool and it’s a ton of fun to play with. 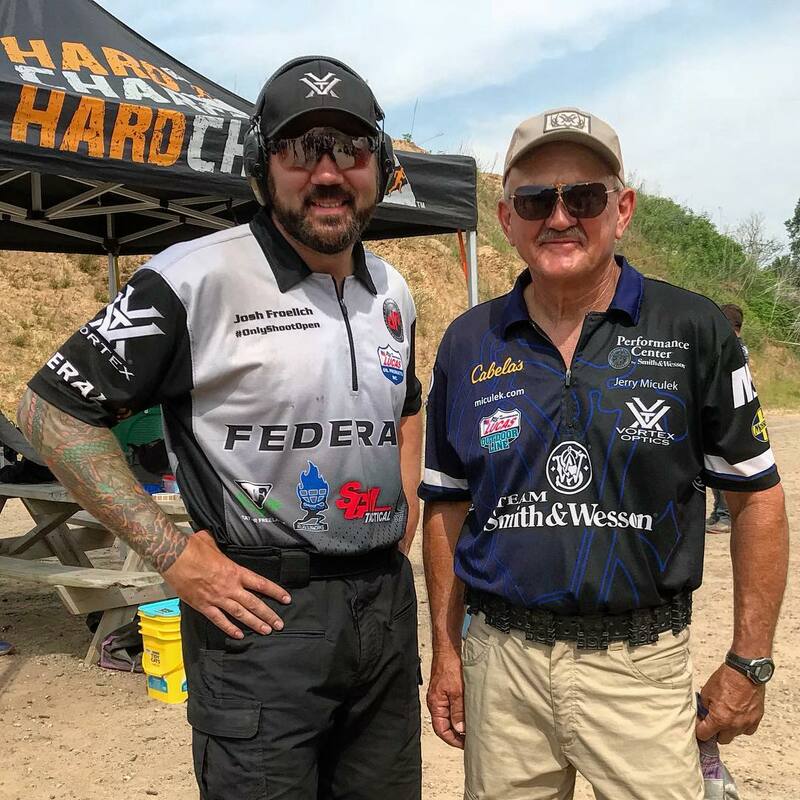 Josh Froelich with Jerry Miculek. Look for our interview with Jerry on competition ready ARs later this week. Thanks to Josh Froelich for talking to us today about the benefits of the 9mm PCC. For more information or to follow Josh, you can find him online on Instagram or here on Facebook. Great article. You run Glock mags; do you recommend that over Colt-style mags? I prefer the Glock mag guns over colt but have seen both perform well on the range. Thanks, Josh. I built my PCC very similar to yours for similar reasons, but have you shortened your PRS stock a little?